The Game won't have to fear U.S. Marshals arresting him anymore. The Game's been dealing with some serious legal issues in recent times. The Compton-bred emcee was ordered to hand over financial documents to his sexual assault accuser after he refused to pay her $7M judgment. The judge later gave the rapper 48 hours to turn over the papers before a warrant was issued for his arrest. Despite reports claiming that he would be arrested by U.S. Marshals are his show in Oregan earlier this month, the rapper is now free to roam the country without a fret. 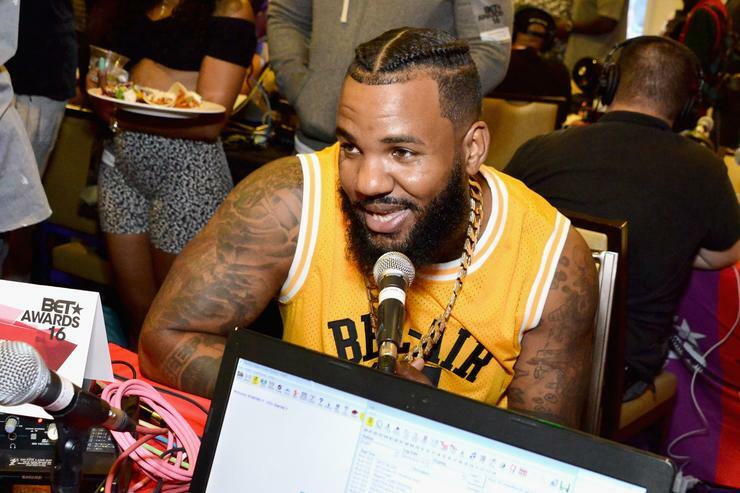 According to TMZ, the warrant issued for The Game's arrest has been dropped. The judge pulled the arrest warrant after The Game's legal team finally handed over the financial documents that were asked for more than three weeks ago. The rapper tried his hardest to have the warrant dismissed earlier this month, although the alleged victim, Priscilla Rainey, was pressing the judge to have The Game thrown behind bars. Clearly, that didn't work out for her. She previously asked the court to punish the rapper after he completely ignored a subpoena that was issued for his cannabis company "Trees By Game LLC" in order to get a better understanding of his financial information and why he hasn't coughed up the $7.1M judgment that he was ordered to pay. We'll keep you updated on The Game's legal battle with Rainey.